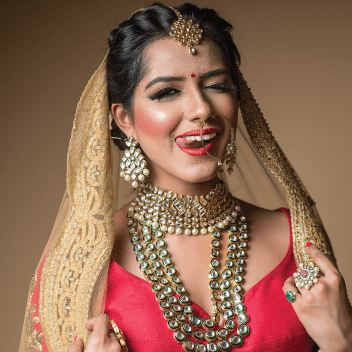 Nivya Shetty was the makeup artist for my wedding and my brother's engagement. She did a wonderful bridal makeup, I was really happy with the look and hairdo. Her products were of MAC,Loreal and other top brands. She had got a hairstylist along with her. Her behaviour wasnt adjustable and the hairstylist stuff was a little old, her stuff was excellent. Her range is on a little expensive side, but the bridal makeup was exquisitive. 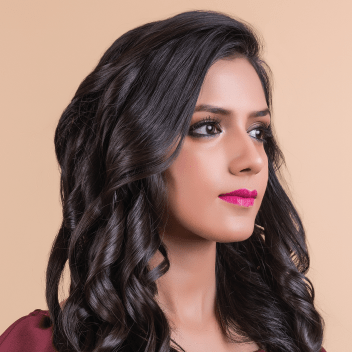 Nivya Shetty is a remarkable makeup stylist which is the reason I hired her for two of my major functions: December 2015 for my own wedding, and last December for my sister's wedding. I got to know her as I was looking for a makeup stylist and later we became good friends. It was ethnic look for both the functions, and she did my hair, sari draping, and makeup. She gets some help from her assistants for sari and hair, last time she came with two of them. She was fully equipped, her products were totally clean and hygienic. What I like about her is that she is not the kind of makeup artist who would do the job quickly and wind up. She takes time and makes sure everything is perfect. She is indeed properly involved and knowledgeable, more than it. She also does make up for more casual occasions (party makeup, western style etc...) whenever I felt I didn't like something, she did not mind changing it for me. 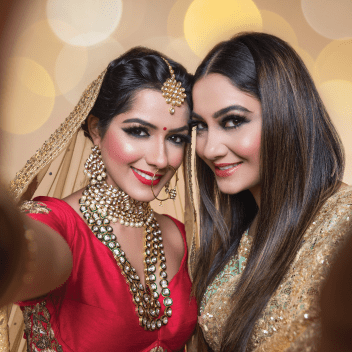 She was very good with eye makeup and it was all solid and smudge proof; It was a Maharashtrian marriage so she used a lot of kumkum, haldi etc. and did a touch up for �damage control�. I really admire her punctuality as from my own experience, I've noticed mostly these makeup professionals are not in time. It was all very perfect for me! She does wonderful makeup and has helped me immensely in accross a lot of function.I am happy with the level of expertise she had shown each time.She never over does the makeup and makes sure that the tone is matching looking ever natural. I was never inclined to make up at work. But then my job and level demanded it at times. Brigitte made it so simple for me. They were easy for follow and practice. It's a wceruday mist do thing for me before leaving for work. She is an excellent beautician and make up artist. She is very talented, artistic and skilled. If you are looking for an artist for any occasion, Brigitte is the person for you. I can guarantee you will not be disappointed. Indu is very professional. She patiently heard what I needed and did not unnecessarily try to push her interests. The equipments and products used were all A grade and she took utmost care to give me the look I was wanting. Extremely happy !! Excellent service by Anupama. Very friendly and dedicated artist. It was really pleasant to work with you. And your work is awesome.